The maple tree whose branch struck an arborist last year stands in Galloway Park, Scarborough. It is perhaps the cruellest twist of fate that puts a person directly underneath a tree at the exact moment that a branch suddenly breaks and plummets to the ground. For Katharine Harrison, it happened on a quiet street near her home in Toronto's Upper Beaches. She was left with a soft-tissue injury and bone bruise. For Grace Taurozzi, it was while she was pushing a wheelbarrow on a windy day in Galloway Park in Scarborough. The blow fractured her vertebra and tore open her scalp. For another woman, it occurred during a picnic with her young son and husband at Humber Bay Park in Etobicoke. She suffered critical injuries and was rushed to a trauma centre. For a man from France, it was as he relaxed on the grass with his pregnant wife on a calm evening in Trinity Bellwoods Park in the west end. He died. They are among at least 20 victims of falling tree limbs in Toronto in the past seven years, according to a Globe and Mail investigation that found the city has paid out more than $2-million in liability claims. In addition, countless others have had close calls, saved by a few lucky moments that kept them out of harm's way or by their ability to hear the cracking of a branch and sprint to safety. The toll raises difficult questions about whether the city is doing enough to prevent such mishaps by adequately maintaining its 4.1 million trees – one-fifth of which are in fair, poor or even worse condition – and protecting people from the rare but sometimes catastrophic damage they can cause. The Globe and Mail examined four cases involving tree-related injuries and identified potential shortcomings in the city's management, ranging from inspection standards to possible health and structural issues, including previous fallen limbs. 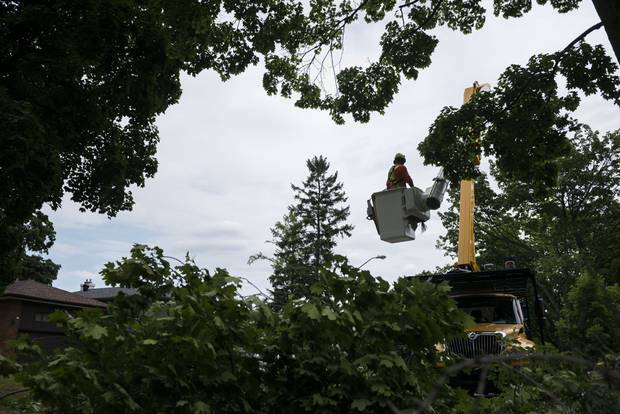 The Siberian elm involved in the man's death earlier this summer had previously shed at least one other branch, according to the maintenance record obtained by The Globe, and had deadwood, which arborists say can be signs of problems. For its part, the city says its investigation concluded that the tree was healthy and the failure is unexplained. Toronto, which bills itself as "a city within a park," is facing sweeping challenges in caring for its trees, with pressure from all sides. With a chronic budget crunch, the city admits it is not pruning public trees as often as its own experts recommend and acknowledges that it relies heavily on residents to report possibly dangerous trees. At the same time, Toronto's park, street and ravine trees have been hit hard by the destructive emerald ash borer, the 2013 ice storm and summer droughts, which can all weaken trees. Despite this, officials are under pressure to increase the canopy and the significant benefits that trees provide to cities, including cleaning the air, cooling neighbourhoods, conserving energy and increasing property values. In addition, many residents have strong attachments to trees and vehemently oppose cutting them down. Many cities face challenges maintaining their trees. In Vancouver, though, city-owned trees are pruned twice as often as in Toronto. But while Toronto struggles to meet its pruning standards, it oversees a significantly larger urban forest, with one of the most expansive canopies in North America. In Etobicoke on Friday, July 29 City of Toronto arborists perform maintenance to a tree by cutting off dead and dangerously hanging tree limbs and branches in an effort to increase the tree’s lifespan and reduce the hazard of falling and dead branches. The branches, limbs and leaves are then processed through a large woodchipper, and the site is cleaned. It is undeniably difficult to predict which trees will fail and when. Even a dead tree can stand for years before shedding branches and eventually falling down, while trees that seem healthy can lose limbs for no apparent reason. As part of a dynamic, ever-changing environment, these acts of nature are brutally random. Downed trees and limbs are, for the most part, caused by violent storms and usually strike power lines, roofs and parked cars while residents are safe indoors. However, severe weather, which is becoming more frequent because of climate change, can leave lasting, hidden effects on trees that can be difficult to diagnose. "Sometimes branches drop off and break and there's no warning. There may be rot in it, but it depends how high up it was whether you'd ever even see it. You can't possibly know all of these things," says Sandy Smith, a professor of forest health at the University of Toronto. "There are inherent risks of being outside. But I think you can minimize these all with proper care and maintenance and awareness that … when you go sit under a tree, you look up." Arborists stress that a key factor in keeping trees healthy is regular pruning, with a generally accepted industry standard of every five to seven years. 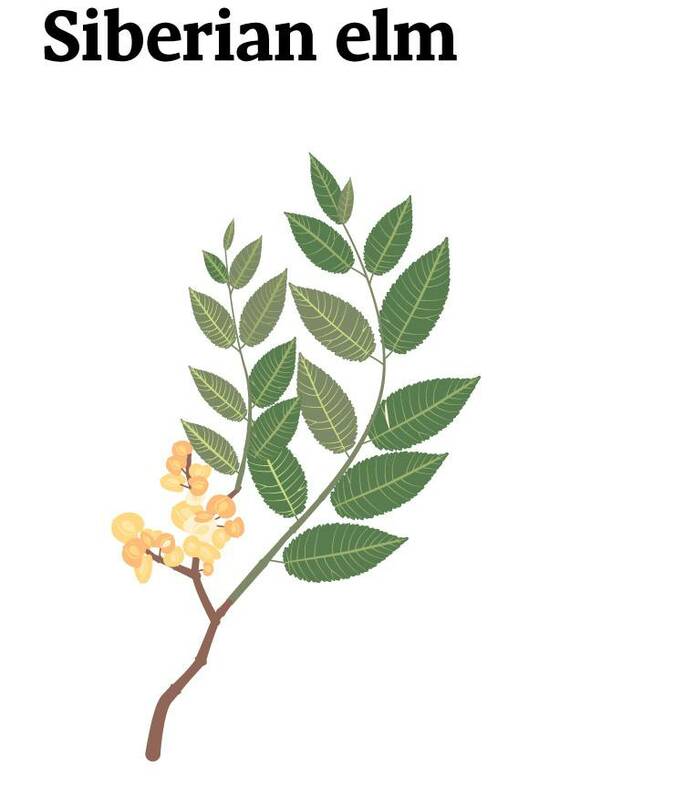 Proactive pruning staves off disease and minimizes breakage, helping to prevent branches from striking "targets," the industry's term for people or property. Yet the City of Toronto, which bears legal liability for the trees on its lands, is not even close to meeting its own standards. Its forestry-service plan, which city council approved in 2008, called for increased funding for tree maintenance, eventually reaching an average seven-year proactive pruning cycle by 2016. The plan was developed after a coroner's inquest jury made recommendations relating to organizations' tree-care responsibilities in the wake of the death of 10-year-old Tyler Cooper by a falling branch at the Royal Botanical Gardens in Burlington in 2004. But the city's trees – 19 per cent of which were listed in fair, poor, critical, dying or dead condition in a 2010 report – are currently pruned an average of every 15 years, twice the standard. The city is not expected to meet its seven-year target until 2023, a seven-year setback caused by its ongoing funding shortfall and made worse by the costly ice storm cleanup and the emerald ash borer infestation. "Do I want to be better? Is there a way to be better? Yes," says Jason Doyle, the city's director of urban forestry. "As [city council] delays the funding strategy, it's just going to take us a little longer to get there. But is the City of Toronto in a good position with respect to maintenance? I believe they are." Over the past decade, the city has diverted more resources to urban forestry, with the department's gross operating budget increasing to $71.8-million this year from $26.7-million in 2007, with about two-thirds of the current funding going to maintenance. But millions more are needed to bring the city's tree maintenance in line with its objectives. In addition to the pruning delay, the city depends on residents to report suspected hazardous trees, a reactive approach – with a four-and-a-half-month backlog, compared with the urban forestry department's three-month target – that places a burden on the untrained eyes of people who are often unaware that the city is counting on them. "We have an urban forest that's a shared resource. It is ours and so we actively manage it together," Mr. Doyle says. "The public is very, very responsive. We have a lot of interest groups, a lot of people, stakeholders. They'll call in, they'll identify trees that require work. We inspect them." Given these factors, critics fault the city for not doing enough to protect public safety. "Fifteen years for all of the city trees, that is not adequate," says Andrew Baughn, an arborist who had a close call with a falling branch while walking with his young son in a park last summer. 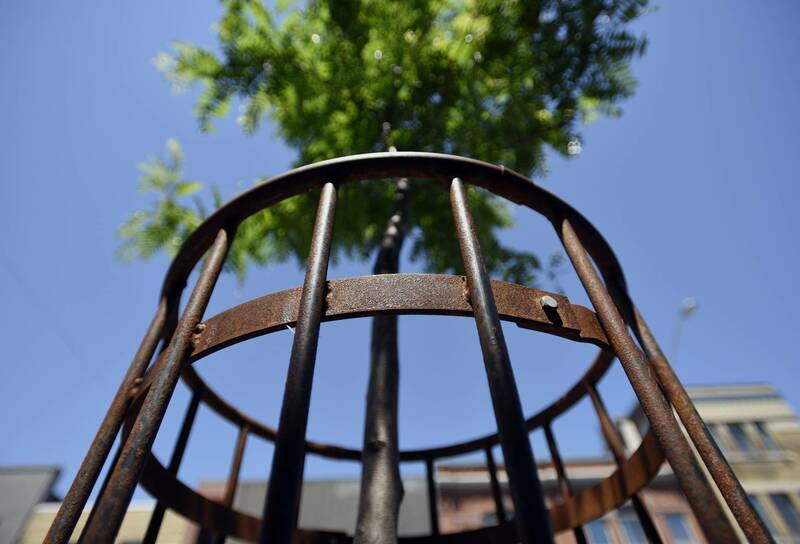 In addition, Mr. Baughn criticizes the city's reliance on public reporting of problem trees. "People don't care to do that. They expect that the city's going to take care of their own trees," he says, adding that extensive training is needed to identify hazards. Mr. Doyle defends the city's approach, but, as an arborist, he recognizes that it is not ideal and acknowledges that he worries about trees not being maintained according to his department's standards. "I do. I mean, this is my job. This is what the City of Toronto's hired me to do," he says. "My job is to advise council, advise senior management on what the associated impacts are. But at the same time, when I'm given a challenge, then I have to modify programs to meet those challenges." However, Mr. Doyle, who stresses that public safety is his top priority, says he has dealt with "only two" cases of "severe, major injuries" in his 25 years in the city's forestry unit. One was this summer's death in Trinity Bellwoods Park and the other involved the woman who was seriously hurt by a falling tree in Humber Bay Park. "We have no crystal ball. We can do our best. We do rely on the public to help us identify potential risks or hazards," he says. "Because these are living things and they change, the challenge is when you have so many trees … things are going to happen." In the Humber Bay Park case, the woman, who has not been publicly identified, was having a picnic with her family under a large willow tree when the tree uprooted and pinned her face down on the ground, covering half her body, bystander Tsetan Tashi says. He and his friends hailed passersby who helped lift the branch enough to prop it up with a cooler until paramedics and firefighters arrived. "It wasn't very windy that day," the 43-year-old food-quality inspector says. "But it was a very old tree." The tree involved in that incident on July 20, 2011, had been "recently inspected" by city staff after a branch fell off previously, says Brian Mercer, the city's acting manager of forestry policy and planning. "At that time, the tree was deemed to be safe based upon a visual assessment of the tree and surrounding area," he says in an e-mail. The accident led to a policy change requiring a second, follow-up inspection of compromised trees "to ensure that we haven't missed anything," Mr. Doyle says. Experts assess tree risk according to three factors: the likelihood of a tree failing, the chances that a falling branch would strike a target and what the consequences would be. For cities, trees on sidewalks or parks are a higher priority for maintenance than those located in natural woodlots. 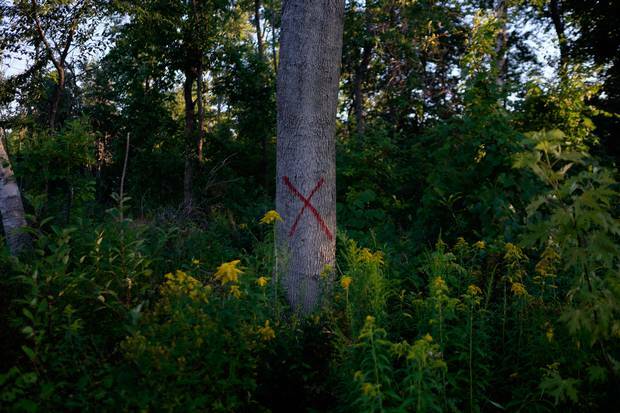 The city's actions in the Humber Bay Park case led to a lawsuit, which was settled in a confidential payout that represents "most" of the more than $2-million in successful claims against the city for tree-related injuries, Mr. Doyle says. On its website, the city says it considers several factors in determining its responsibility, including whether there was "visible evidence of decay" before an incident, whether the city was aware of the tree's condition beforehand and, if the city was aware, whether its inspection and maintenance activities were reasonable. Lawsuits involving injuries caused by trees typically hinge on whether municipalities met their standard of care and took reasonable steps to mitigate foreseeable hazards, says Julian Dunster, a British Columbia expert in tree-risk assessment who co-wrote a book called Arboriculture and the Law in Canada and has been an expert witness in several lawsuits. "They have to exercise due diligence and reasonable care. I don't think every city can ever be responsible for every single tree issue," he says. "On the other hand, if, for example, somewhere a tree falls down in a public area and it was very clearly a foreseeable failure and no one bothered to look at it, then they've got a problem." With 60 per cent of Toronto's trees located on private property, homeowners also have a legal obligation to ensure that their trees are safely maintained. 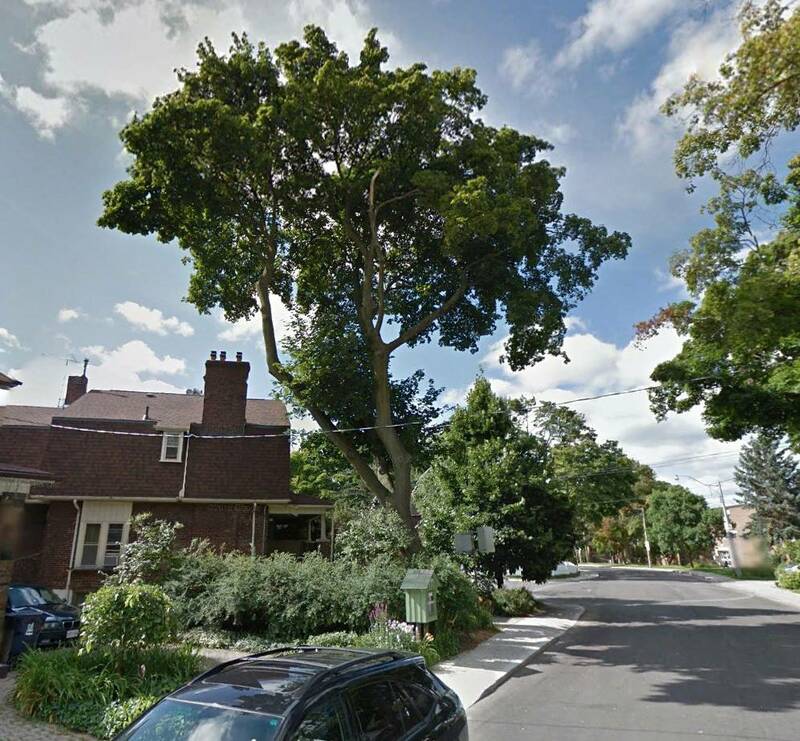 The city is responsible for trees on its road allowance, which includes many in front yards. In the past seven years – a period marked by the launch of the urban forestry department's proactive tree maintenance program – the City of Toronto has settled 17 personal-injury claims caused by falling tree limbs, paying out a total of $2,054,340. In addition, there are at least three cases not captured in that figure – the recent death, Ms. Harrison's and Ms. Taurozzi's – for a total of at least 20 people injured or killed since 2009. 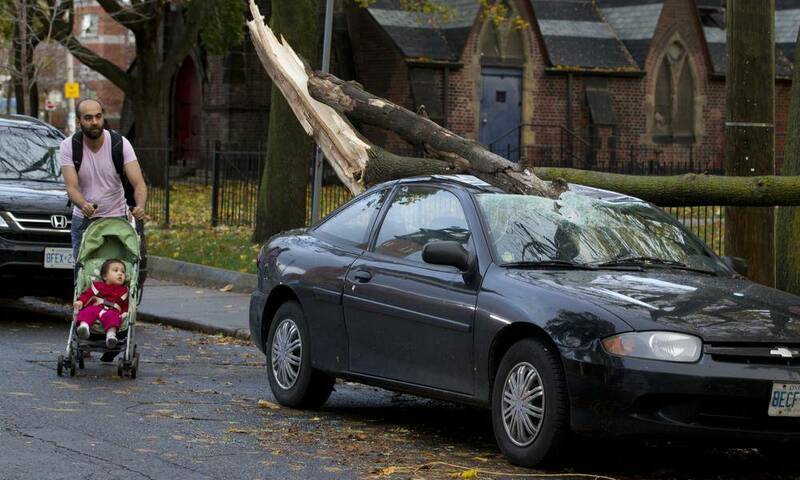 However, the actual number of people injured by falling Toronto trees is undoubtedly higher, given that some do not pursue a claim or receive the kind of serious injuries that result in media coverage. Mr. Doyle plays down the toll, saying that in addition to the two serious cases, "there's been a handful" of others, referring twice to minor shoulder injuries. "Most of the cases, it's a little wind comes up and it's a dead branch that comes out and knocks somebody in the shoulder," he says. The Globe asked the urban forestry division for the total number of people who reported being injured by public trees, but a spokesman said the city does not maintain such a list. A makeshift tribute has been created at Trinity Bellwoods Park, next to the tree where a man died Friday after being hit by a falling branch, in Toronto, Sunday, June 19, 2016. The worst tree accident in the city's recent memory happened on the calm evening of June 17 in Trinity Bellwoods Park. As people walked with friends, rode their bikes and sat on the grass in the popular park, a leafy Siberian elm branch suddenly came crashing down, hitting a man from France. The 30-year-old man, who was in Canada on a work visa, was protecting his pregnant wife when he was crushed, according to initial reports. He was pronounced dead at the scene, and a memorial appeared within hours. The man, whose family has asked for privacy, has not been identified. The Globe reached out to his widow through associates but she has not responded to interview requests. In a statement intended for a fundraising campaign website, his parents thanked Torontonians. "We thank you from the bottom of the heart for having known how to surround us by your flowers, your thoughts, your papers and your presents. One day Mother Teresa says: 'Any act of love is one peace work, so small it is.' Your proofs of loves bring the peace in this world which decays." The man's death – and his wife's anguished screams – has been seared into bystanders' memories. "I can't get it out of my head," says Mike Lee, a 36-year-old founder of a tech startup who helped to perform CPR on the victim and is organizing the fundraising campaign. "He died under my fingertips." After the incident, the city did a "full investigation" that involved inspecting the tree later that night as well as the following morning, Mr. Doyle says. A senior management team conducted a "full tabletop exercise," including examining maintenance records, photos of the tree and the broken branch itself. "Nobody wants to see something like this happen," he says. The Siberian elm, a species known for its overextended limbs and which was hit hard by the ice storm, was last assessed on Oct. 11, 2014, by Davey Resource Group, a contractor, as part of the city's post-storm inspections. The maintenance record, provided to The Globe by the city, shows that it was listed in "good" condition, but the crew recorded one defect: a "stub," which refers to the remnants of a previously broken limb that requires pruning to prevent disease. "The presence of this stub did not [compromise] the structural integrity of the tree or present a risk to park users," Mr. Mercer says in an e-mail, adding that the limb failure probably occurred during the ice storm. The work crew assigned the stub's removal the lowest priority, known as "3-Routine (2015)," which a document from Mr. Mercer says means the work was referred to be completed "in 2015 and beyond". A Davey representative referred questions to the city. The day after the man was killed, the city did an aerial inspection of the tree and a crew pruned it, removing deadwood within the crown that totalled approximately 2 to 4 per cent, Mr. Mercer says, adding that trees naturally have some deadwood in their crowns. In addition, the crew also removed "stubs," according to Mr. Mercer, suggesting more than one previous broken branch. While Mr. Doyle says his department keeps track of trees that drop branches and would consider cutting down a tree that had lost multiple limbs, the Siberian elm's previous failure does not appear to have raised concerns during the city's investigation. That investigation concluded that the Siberian elm was healthy and the broken branch is unexplained, Mr. Doyle says. He says the city sees no reason to chop the tree down. "The outcome is that we only know what we know. And there were no signs of defect, no fracture, no decay. The branch in itself was pruned well. It was not of excessive height, weight. It was a small diameter," he says, spreading his hands about 15 centimetres apart. "It wasn't very long. It was just a unique circumstance – unfortunate, unique. There was nothing to indicate to us that there should have been action taken." Mr. Doyle says the incident is characteristic of so-called summer branch drop, a phenomenon said to affect 19 tree species, including Siberian elms, but the city cannot be certain what caused the limb to break. One theory for why seemingly healthy trees suddenly drop branches on windless summer days is that they transpire too much moisture after periods of hot weather and then overcompensate by sucking up excessive amounts of water from the ground, adding extra weight that causes limbs to snap off. Another possible explanation is that sap or internal gases heat up within a branch, causing it to burst. However, arborist Tait Sala isn't so sure. He personally examined the tree a few days after the tragedy and says its previous broken limb and the deadwood can be signs of problems. "These would be reasonable indicators that further inspection, maintenance and hazard mitigation should be considered," he says in an e-mail. Mr. Sala posted a blog entry on the website for Cohen & Master, where he works, about the incident and says that despite the summer branch drop theory, such failures "are almost always associated with some form of tree defect (affecting the structure) and/or poor tree vigor (affecting the tree health)." He says this particular tree has "a very open and spreading canopy, with several long horizontal limbs. This form is not unusual for Siberian elm trees and does make it more prone to failure due to the added weight, leverage and poor taper." In the days after the tragedy, Mayor John Tory promised the city would "leave no stone unturned to ensure the public is safe." Matthew Cutler, a spokesman for the department of parks, forestry and recreation, says staff have documented the incident but there are no plans to produce a formal report. 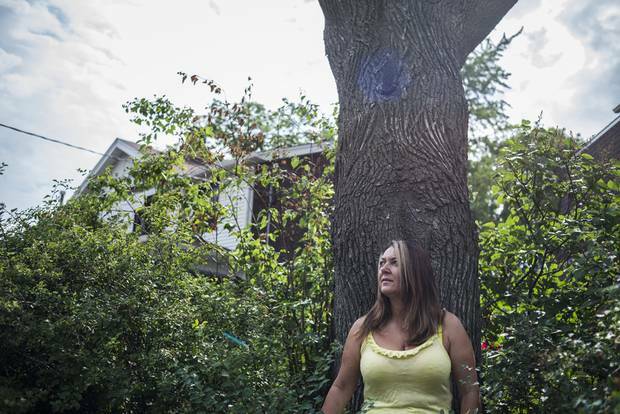 Grace Taurozzi stands beside the Norway maple tree in Galloway Park that injured her. She suffered wounds to her head and fractured vertabrae. As it began to crack on a windy day last summer, the maple tree branch that would change arborist Grace Taurozzi's life sounded like thunder off in the distance. She looked up and didn't see anything, but instinctively began to run. However, the heavy branch was right above her. It crashed down, striking her on the head and shoulder. With her scalp split open, her mind began to fill with panicked thoughts. "The first thing that went through my head when I hit the ground is: 'Can I feel the lower half of my body?' That was my main thing. It was like, 'Okay, my feet move, my hands and everything move,' " she recalls. "I was very manic … just like, 'No, okay, you're not going to die. You're going to die! You're going to die! You're not going to die.' "
As Ms. Taurozzi sobbed and writhed in pain, her supervisor held her head and tried to keep her still, worried about a spinal injury. Someone called 911 and another colleague cut away smaller branches that had fallen on top of her legs. Luckily, they had tools: The arborists were planting trees in Galloway Park for a company with a city contract. Ms. Taurozzi was rushed to hospital, where doctors discovered a fracture in the vertebra directly below her skull and sewed her scalp back together with 15 stitches. She wore a neck brace for nine weeks, couldn't work for more than three months, still needs physiotherapy, gets neck spasms while sleeping and will never be able to fully rotate her head. 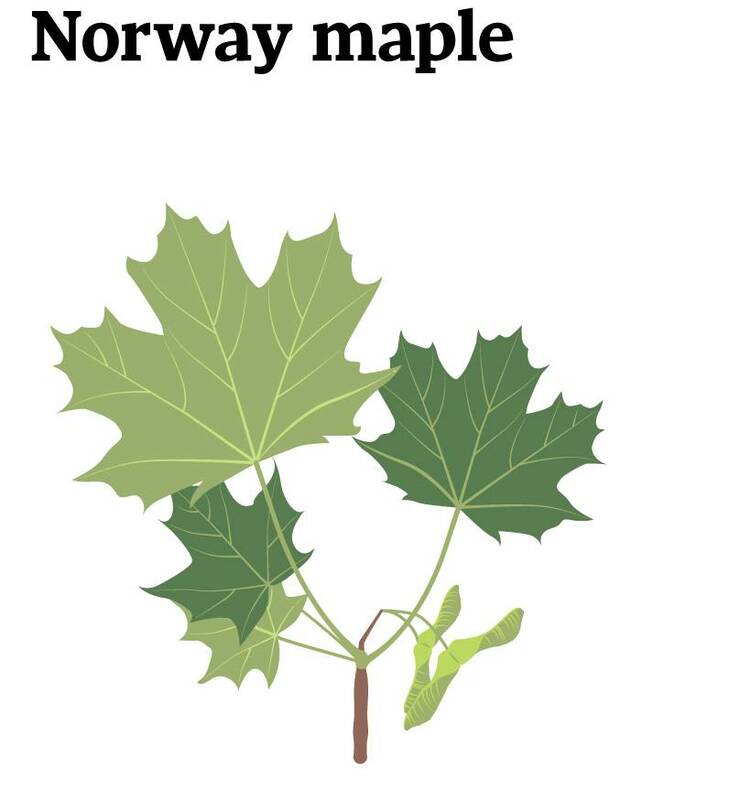 The Norway maple tree, an invasive species no longer planted by the city, had a defect known as a "split crotch," a tight V-shape where two branches of equal size grow closely beside each other and are at high risk of failing, according to Stephen Smith, owner of Urban Forest Associates and Ms. Taurozzi's boss. However, the city says its inspection found no problems with the tree. "It was determined that there was no evidence that the tree was unhealthy. It was windy at the time of the incident," Mr. Mercer says in an e-mail. Yet within five weeks of the June 23, 2015, accident, the city chopped off all its limbs, leaving only the denuded trunk. It was ironic that the tree branch that fell on Ms. Taurozzi in a wooded area of the park was a maple, Mr. Smith says, given that the crew was planting saplings to replace scores of ash trees killed by the emerald ash borer. While many of the dead ash had already been chopped down, some were still standing that day, and if the crew was worried about any trees, it was them, not a seemingly healthy maple. "It would have been the last one that you would suspect of being dangerous," Mr. Smith says. A year later, the trunk remains – its only signs of life are small tufts of leaves. "It's never going to look like what it used to," said Ms. Taurozzi, 26, as she studied the tree during her first visit to the park since she was struck. "It's never going to be the same." Despite the extent of her injury, she considers what happened unforeseeable and doesn't think the city could have done anything differently. "It just seems like such a freak accident that it's hard to be like, 'Okay, well, they should have done something,' " she says. In those early difficult days after the incident, she considered abandoning her chosen career but ultimately decided to keep working with trees and is planning to become a tree-risk assessor. However, she is nervous of windy conditions and sometimes wears a helmet. Mr. Smith now requires his workers to wear helmets while planting trees on very windy days, which is not standard practice but seems like a reasonable precaution, given Ms. Taurozzi's ordeal. "The risk has been demonstrated," he says. "We don't want this to happen again." A fresh cut shows on this tree in Dovercourt Park on July 6 2016. This tree was the one that dropped a limb narrowly missing two sisters sitting beneath it. Less than three weeks after the man was killed in Trinity Bellwoods Park, sisters Anne and Lena Trinh were doing yoga not far away in Dovercourt Park on a warm and windless afternoon. As they talked under a large silver maple on July 5, they heard a cracking sound. They initially thought that it was a squirrel scampering through the thick overhead canopy. Lena mentioned the Trinity Bellwoods tragedy to her sister. Moments later, there was another louder crack and the sisters darted out of the way as a large limb, roughly one-third the size of the tree, sheared from the trunk, falling across a path beside a picnic table. Just a few minutes earlier, before her sister arrived, Lena had been napping in that exact spot. Anne Trinh credits the park's tranquillity for their ability to hear the warning that likely saved their lives. "If this had been a music festival, it would have killed a bunch of people," says the 29-year-old who formulates skin creams. 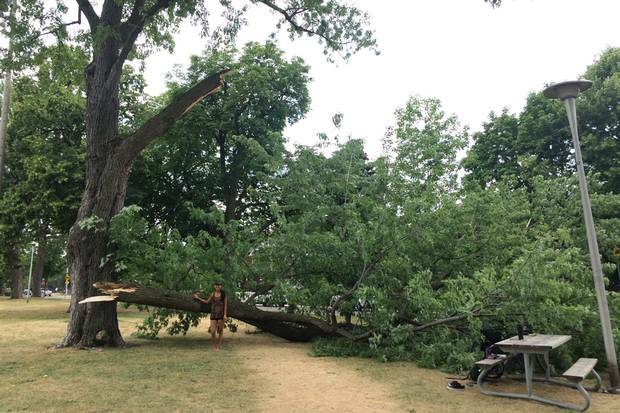 Lena Trinh poses beside the large branch of a silver maple, which fell suddenly July 5 in Dovercourt Park. The limb narrowly missed the sisters, who were in the park to practice yoga. The silver maple was last inspected on Nov. 17, 2014, as part of the city's post-ice storm assessment and "was identified as being in good condition," Mr. Mercer says. The city did not provide the tree's maintenance records despite several requests. Mr. Sala examined photos taken by the sisters and estimated the branch weighed more than 500 kilograms and says discoloration on a section of the torn limb suggests previous cracking. The branch was overextended at an aggressive angle and its thickness was more than half of the trunk's diameter, he says. "Right away, that can be identified as a problem." Councillor Ana Bailão, whose ward includes Dovercourt Park, says steps should be taken to prevent a similar incident and urges a flexible budget for tree maintenance, with more funding available for pruning during hot, dry summers such as this one, which has been particularly harsh. "Are we doing everything we can? Are we looking at this the most effective way, given that these are public spaces?" she asks. "We don't want people to have to be worried in our parks that a branch was going to fall on top of them." Torontonians have had countless other close calls. 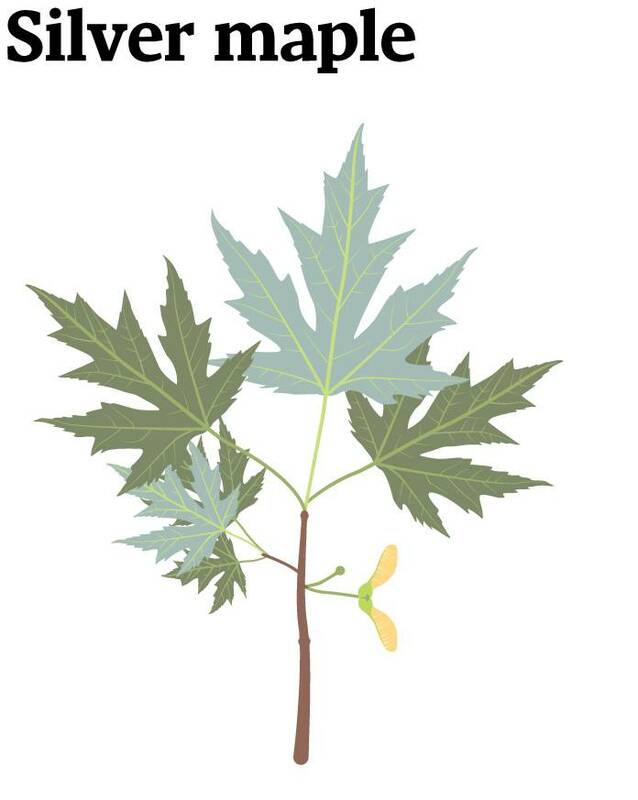 Last summer, Andrew Baughn, the arborist, was walking with his two-year-old son on a path through Trinity Bellwoods Park, metres from the playground, when a large silver maple branch suddenly fell, narrowly missing the boy and a passing cyclist. "Had we been maybe two seconds faster, three seconds faster, it would have been right on top of us," Mr. Baughn says. The branch weighed an estimated 70 kilograms and was hollow on the inside, which he says is a symptom of advanced internal decay. Devoid of any greenery, it hung onto the tree with just two options: Be removed or fall. The deadwood should have been noticed by the city staff and contractors who oversee and maintain the park, says Mr. Baughn, who called 311. "For a piece that big, it had to have been there for a very long time before it let go," he says. The city of Toronto has about 120 work crews – both staff and private contractors – maintaining its trees every day, Mr. Doyle says. Each crew can handle an average of about nine trees a day while doing pro-active maintenance, but only 1.5 to 2 trees on reactive calls because of travel time, he says. Toronto contracts out about half its tree maintenance work and about 90 per cent of planting. While city staff largely handles tree-risk assessments, including reactive pruning, some of that work is contracted out after severe weather events, such as the ice storm. The Globe compared Mr. Baughn's photos of the fallen limb with a 2009 tree inventory of Trinity Bellwoods Park prepared by a student in the University of Toronto's Master of Forest Conservation program with help from community volunteers. The document was presented to the city of Toronto in early 2010 and a manager in the parks, forestry and recreation division later mentioned it in a staff report about neighbourhood tree inventories. The silver maple tree that dropped its branch near Mr. Baughn and his son appears to be listed in the inventory as being in "very poor" condition, largely because of a dead branch or broken branch, and is classified as medium risk. The Globe also counted 68 trees close to paths that were listed in "very poor" condition in the inventory, which was conducted one year after city council recognized a greater need for inspections and preventive maintenance. However, asked if the city acted on the findings of the park report, Mr. Mercer did not answer directly. "When Urban Forestry is presented with information concerning the health or condition of city trees, these matters are investigated and responded to accordingly." Katharine Harrison poses for a portrait under a tree near her home in the Beaches neighbourhood on Friday, July 29. Harrison’s arm was injured when she was hit by a falling branch while she exchanging books at the neighbourhood library box. It was a breezy early summer evening on a residential street in the Upper Beaches when a branch sheared off a maple tree and crashed to the ground, knocking Katharine Harrison to her knees. Around 8 p.m., as had been her habit, Ms. Harrison walked along her street, passing under towering maples and oaks, with a stack of children's books to restock the tiny free library box she maintains with a friend. It was a route she walked "a gazillion times a day." But on the evening of June 12, as she stood on the sidewalk next to the library, she heard a loud crack. An instant later, a large limb broke off the Norway maple tree above her, landing on her head and arm. "I didn't know what it was and then I was underneath it," she says. Her screams alerted neighbours, who called 911 and told her that she was lucky to be alive, crediting a parked car for bearing some of the branch's impact. Doctors eventually determined that her swollen arm, which had bits of tree embedded in it, had a soft tissue injury and a bone bruise. Nearly two months later, she still has difficulty carrying objects and opening doors with her right hand. "It was very upsetting. Now, I look at all of the trees and think, 'Oh my God, it's going to happen again,' " says the 52-year-old project manager at a financial firm. Startling as it was, Ms. Harrison's ordeal was not completely unforeseen. She and other homeowners on their short street have had an estimated five to 10 splintered branches land on their cars and lawns since the ice storm. Indeed, a photo of the tree that injured Ms. Harrison taken in August of 2014 shows what appears to be a recently broken limb. She says she and her neighbours have contacted the city to report possible hazardous trees, but their complaints seemed to languish for several months. After Ms. Harrison was struck, a neighbour called the city and a crew arrived within the hour to inspect the tree and another came to prune it the next day. Other trees in the area were also assessed and a maple Ms. Harrison says was the subject of prior complaints was spray-painted with an orange dot, indicating that it is slated for removal. Asked if the city had previously received complaints about the tree that injured Ms. Harrison, Mr. Mercer says: "This one seems to have come out of nowhere." He provided a summary of the tree's service history showing that it had been pruned four times in the past nine years. Mr. Mercer adds that the city has "never heard from the injured person." However, Ms. Harrison says she called 311 two days after the incident to notify the city of her injury and flag other trees that seemed unsafe. She is disappointed by the city's handling of the situation, noting that its only contact with her was a notice in her mailbox confirming that several trees would be pruned. "They didn't make any attempt to connect with me. They don't even know my name. They don't know who I am," she says. "I did my part in identifying trees I thought they needed to take a look at before they fell on someone else." A few days after she was hurt, when she heard about the death at Trinity Bellwoods Park, Ms. Harrison started to reflect on her own experience. "I was in shock for a long time," she says. "It upset me more when he got hit and died because then I started to realize what had happened." The two falling branches, less than a week apart, shattered her daily routine and have filled her with wariness each time she ventures under a tree canopy. "I look up at the trees, all the time. I don't walk down the street unaware any more," she says. "I walked in my own happy daydream that day. I don't do that any more." Protecting Toronto’s downtown trees from the hardships of urban life While urban forestry officials have been searching for affordably sustainable solutions for years, a handful of downtown business improvement areas in Toronto have discovered a low-tech – and inadvertently unappealing – way of protecting them from the rough-and-tumble world of sidewalk traffic, and especially bark contusions caused by bike locks.